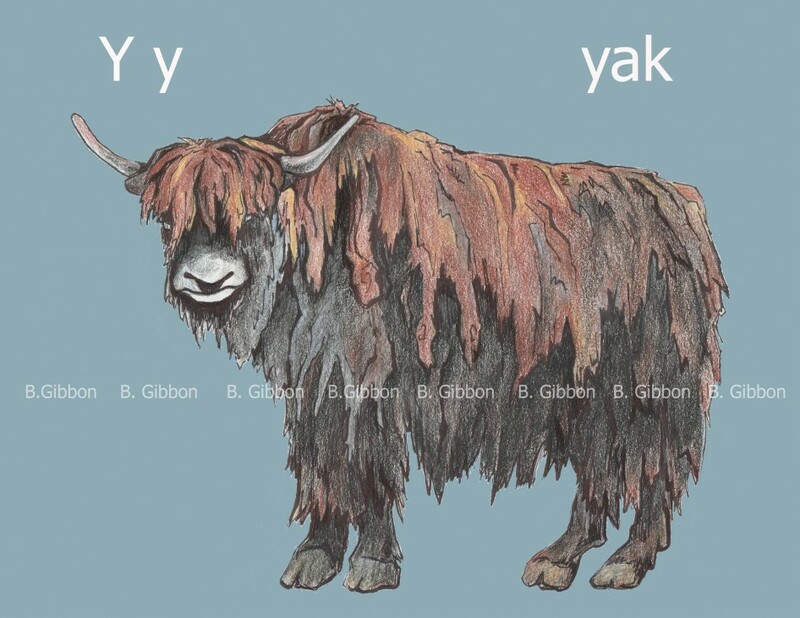 Yak, illustration for picture book, colored pencil drawing, 8 1/2" x 11", August 2014. 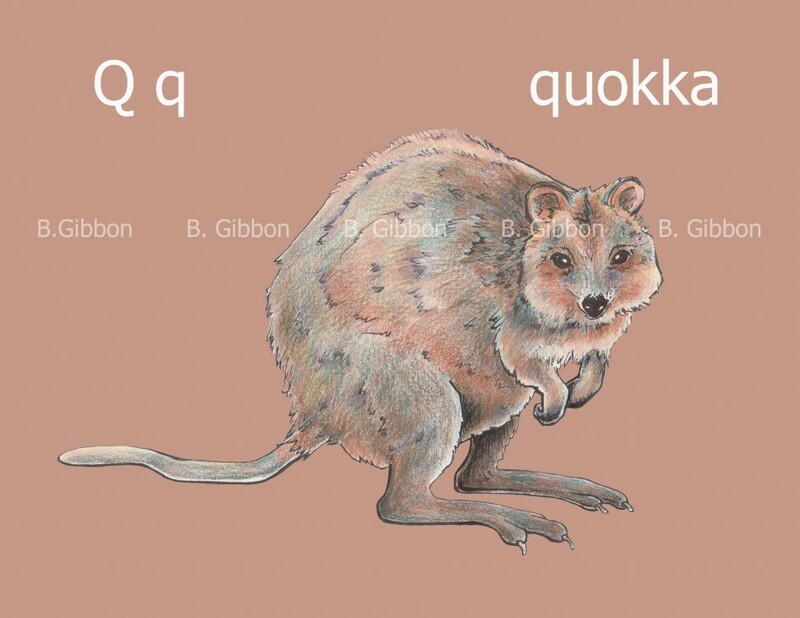 Quokka, illustration for picture book, colored pencil drawing, 8 1/2" x 11", April 2015. Artsy Ape, ink drawing, 8 1/2" in x 11", September 2012. 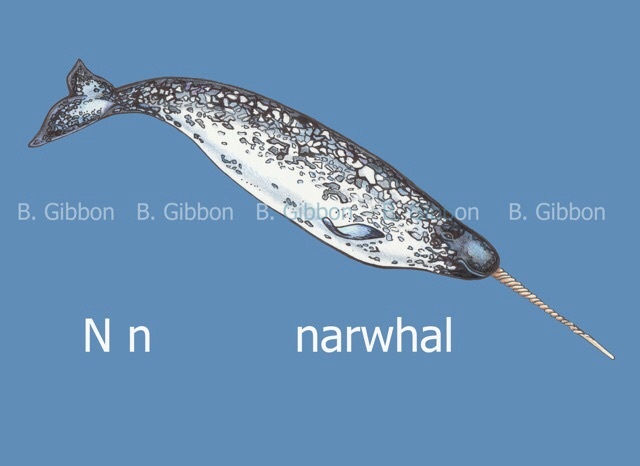 Narwhal, Illustration for children's book, colored pencil drawing, 8.5" x 11", 2015. 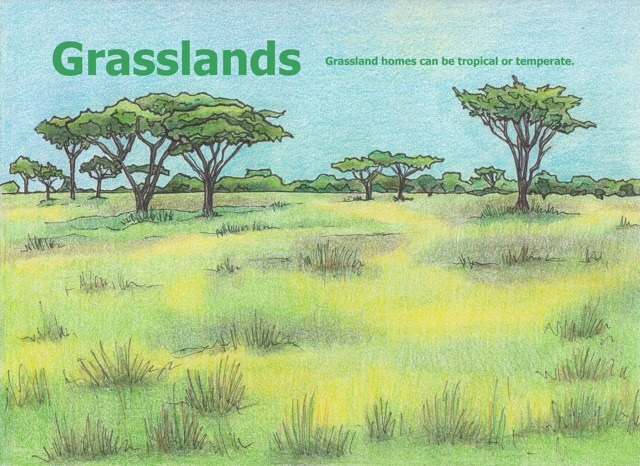 Grasslands, illustration for picture book, colored pencil on paper, 8.5" x 11", 2015. 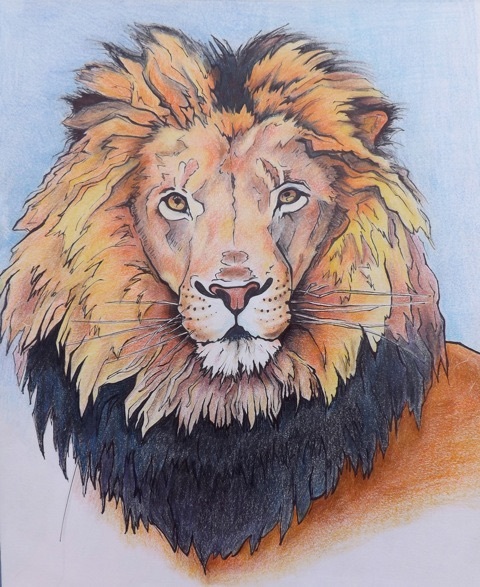 Lion, colored pencil drawing, Oct. 2015.